Dubai, UAE, April 09, 2019: As we head into the final three weeks of the show jumping season with the weather majorly heating up, you’ll be able to find a nice getaway in the Sharjah Equestrian & Racing Club’s indoor arena! Sitting in the cool, air-conditioned stands, you’ll be able to watch two days of the equestrian sport at its finest. 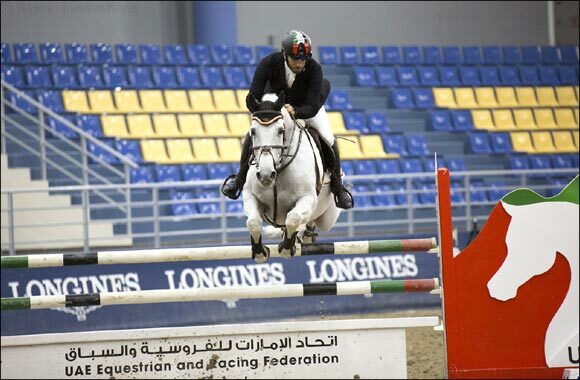 Held under the supervision of the UAE Equestrian and Racing Federation (UAEERF), this two-day event will be the first of three nationals held in Sharjah. Witness some awesome riding both indoors and out with competitors jumping fences up to 140cm. This week’s show will boast of 11 classes to cater to a variety of riders and horses – Advanced riders (Division 1), Amateurs (Division 2 & Novice Division), Juniors (riders between 14 – 18 years old), Children (riders below the age of 14) and Young Horses (4 – 5 & 5 -6 years old). All riders will be competing for their share of a prize purse of AED 140,000.